When Robert’s and Amanda’s house was in the early days of construction, I snagged three pieces of scrap 2×4’s. The pieces stair-stepped, with the tallest one about 2-1/2 feet. I finally got around to fulfilling my plans for them — a trio of pumpkins for their front porch. The project was super simple. 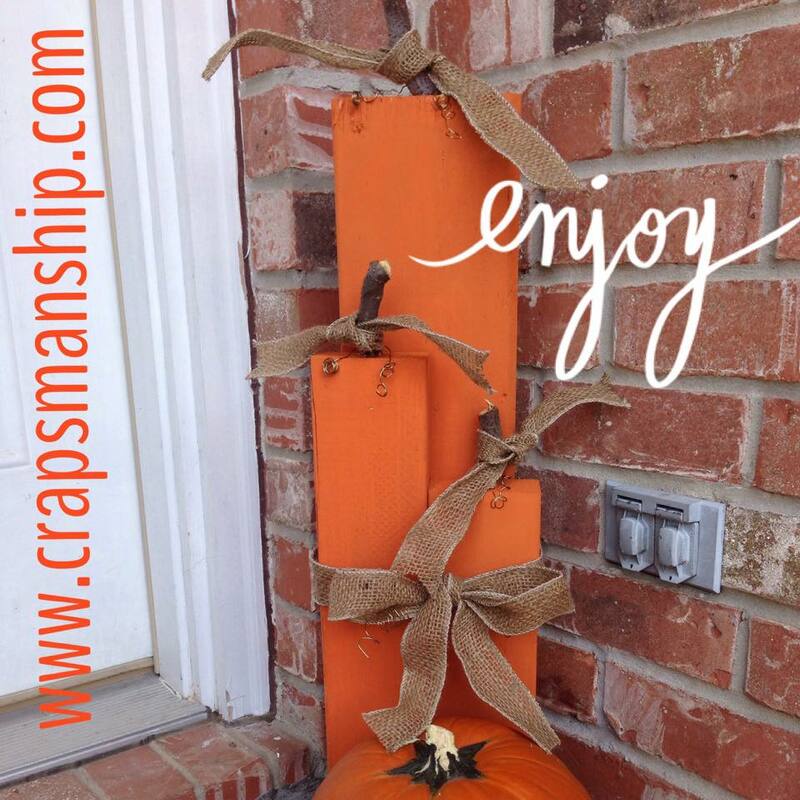 I first used chalk paint (source: Michaels, color: cayenne, company: ArtMinds) to paint each scrap piece. I didn’t have to sand, prime, or topcoat. 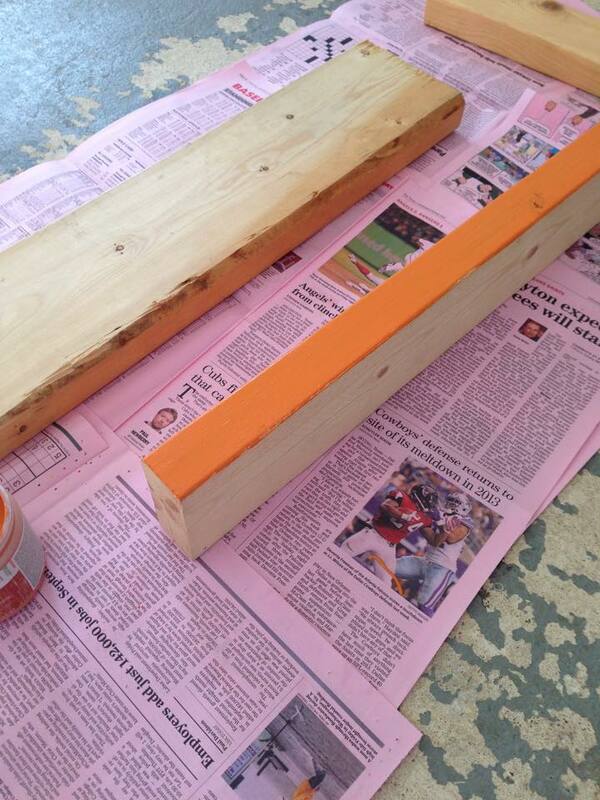 One coat of chalk paint did the trick. 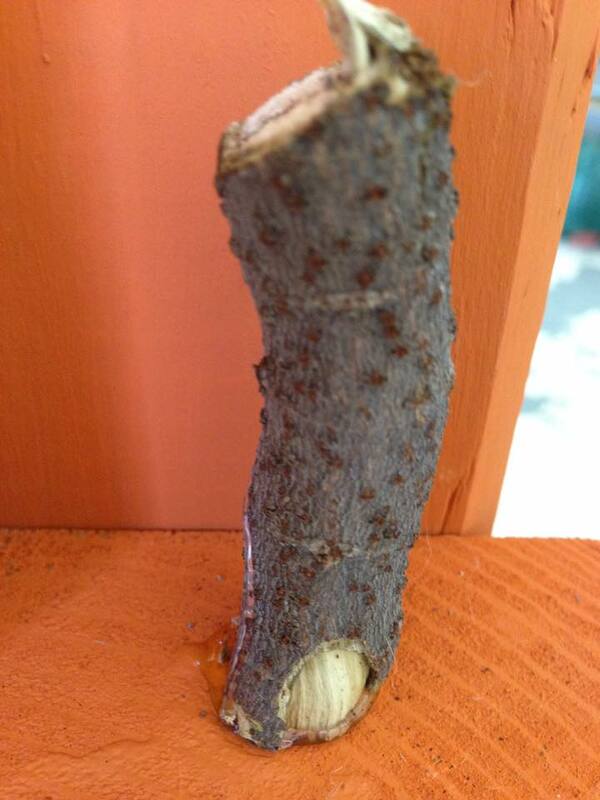 When I trimmed my bushes this week, I saved three pieces of wood, which I glued on as the stem. This was the trickiest part — waiting for the E6000 glue to dry enough that the stem didn’t fall or shift. 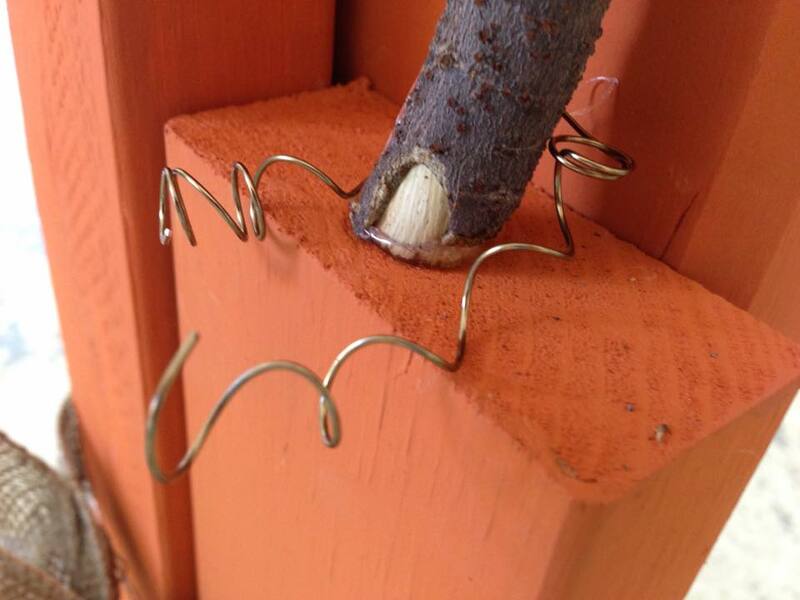 I then curled three pieces of bronze wire around a pencil, removed them, and placed one curled wire around each stem. 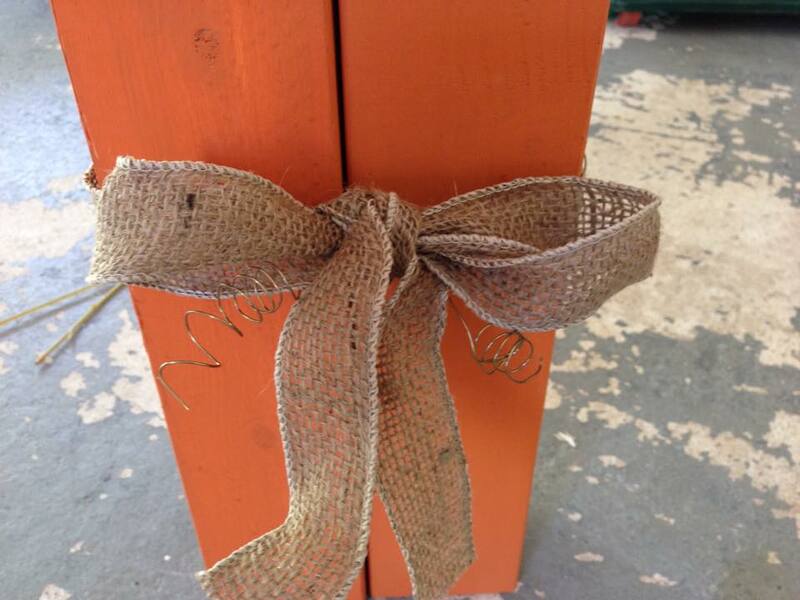 After adding a cute burlap bow to each stem, I thought I was finished. But, no, not done! Even a slight breeze blew at least one of the pieces over. So I took more wire and wrapped it around all three pumpkins, tying them together. 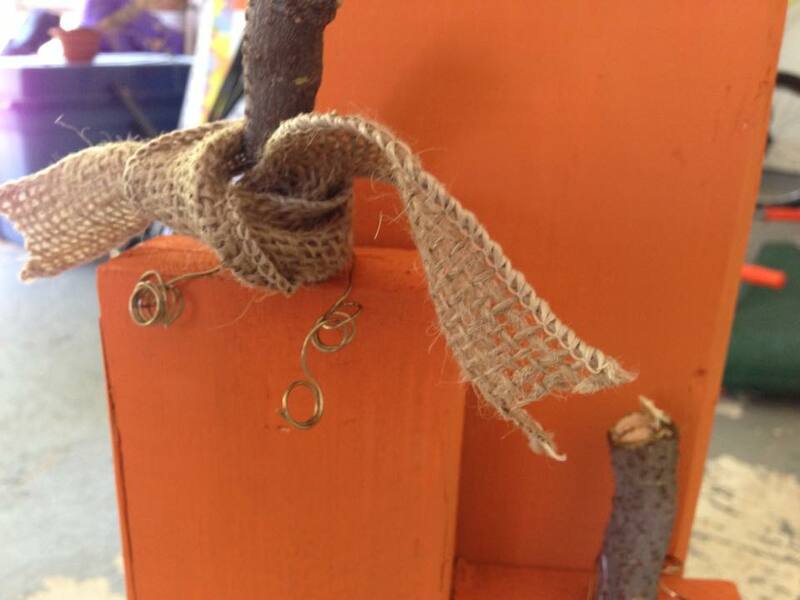 A longer piece of burlap covered the wire, and a real pumpkin at the foot of the trio completed the look. Cute!